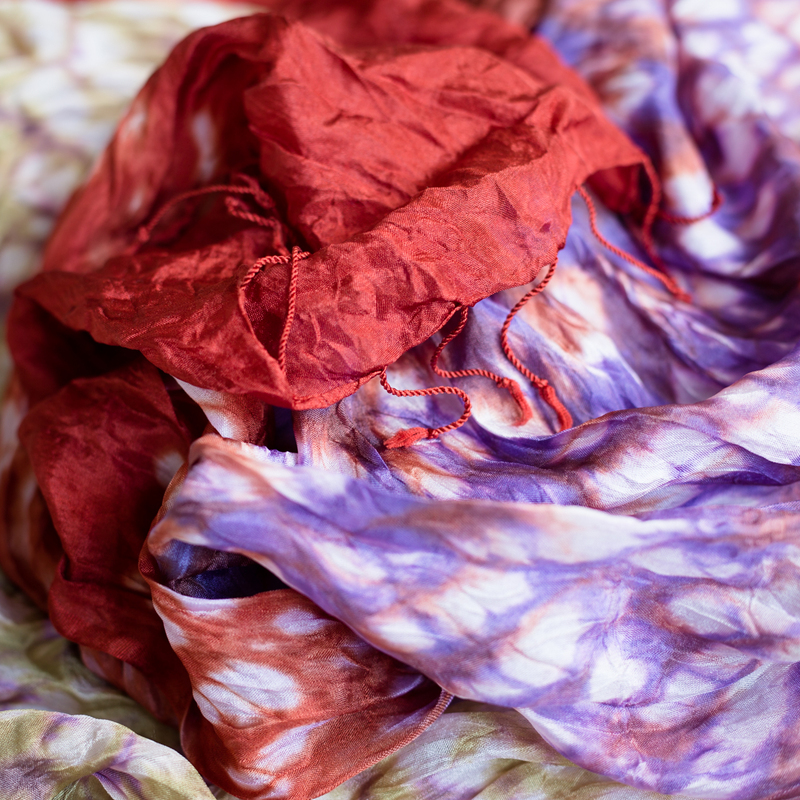 Silk tie dye scarf from northern Thailand. That burnt orange and pink go well together, proves this gracious silk scarf from Thailand. The scarf was handcrafted by Vinita, a local artisan from the North of the country. Vinita specialises is different dye techniques and uses and extraordinary colour palette.